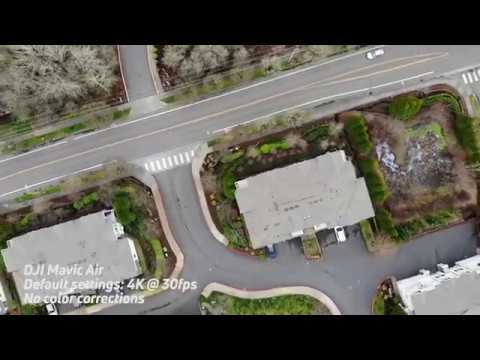 We finally took our new drone into the sky, flying high with the new DJI Mavic Air. 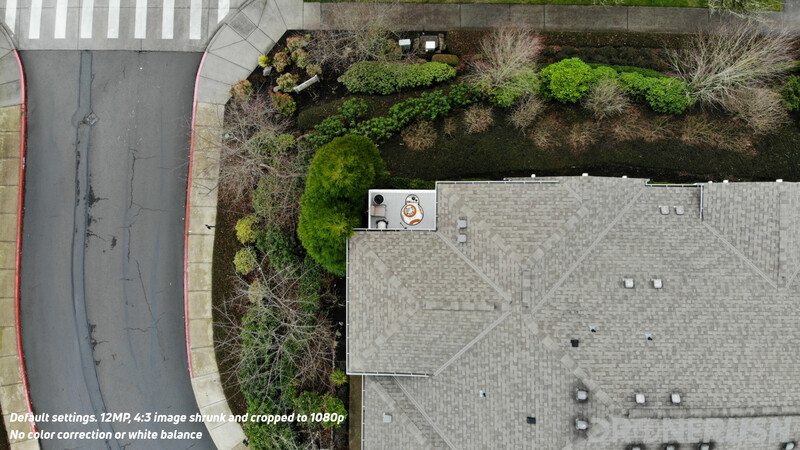 It took us a day to get through the unboxing and setup coverage for you, then we got to fly. Let’s ignore that it was a rainy day and then the sun came out. 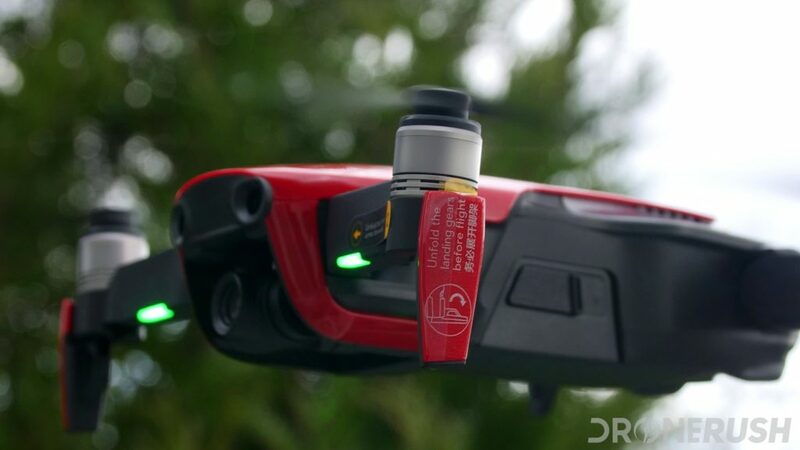 With just one short flight day under our belt, depleting all three batteries from our DJI Mavic Air Fly More combo, these are our first impressions. We’ve been flying DJI drones for a while now. We’ve had some difficulties. We’ve watched as software and firmware updates make things better over time. We’ve even seen software updates that made things harder to get airborne. The DJI Mavic Air benefits from years of development, just as we benefit from years of experience – making this new drone very easy to setup and operate. Unboxing the Mavic Air was pretty easy as well. The Fly More kit came well packed with the extra batteries, remote control and other accessories at the ready. We stripped it all down to the things we need to fly and the bits that stay at home, packed it all into the travel case and hit the road. Like most DJI drones, pull the joysticks down and in to get the motors started. Take off by pushing up on the left stick, or use the mobile app. As promised, the Mavic Air hovers in place very well. 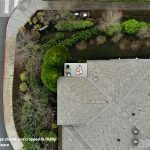 We had expected this from watching the Mavic Pro and Phantom 4 Pro enjoy the same accuracy, their GPS connectivity helps. Of course, the Mavic Air has rear facing obstacle avoidance sensors, an upgrade over the Mavic Pro, so we had high hopes. Admittedly, we began our flight in Beginner’s Mode. 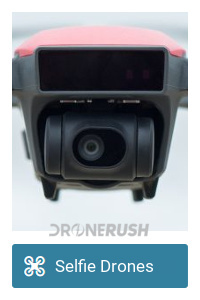 We always do, just to see what DJI thinks is appropriate for a first time pilot. That did not last long, switching to full flight mode after a couple minutes. What we were not ready for was an exhilarating flight. We’ve been flying the Mavic Pro in Cinematic Mode, so it floats more, and the Phantom 4 Pro floats even more yet. 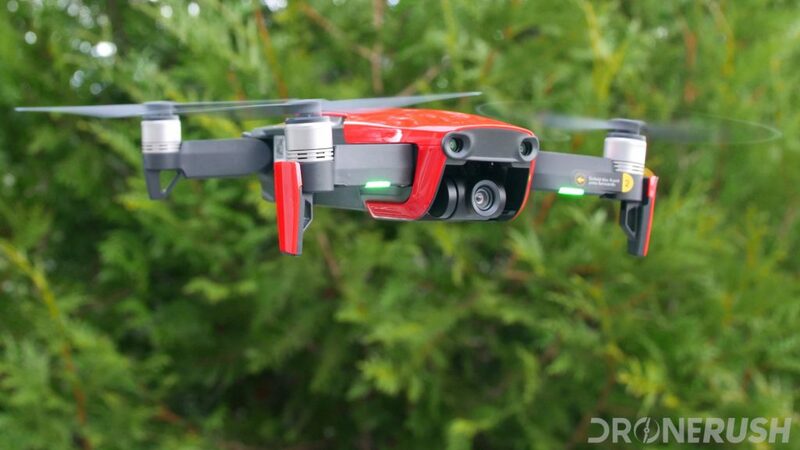 The Mavic Air was crisp and nimble in its movements. You might even say sporty. Certainly the looks of the machine tend to make me think sports car. 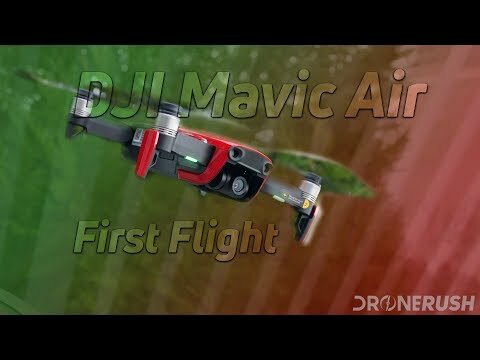 Knowing that the Mavic Air has a top speed of 42.5 mph, well, I was in an open area, I hit the throttle and let it rip. 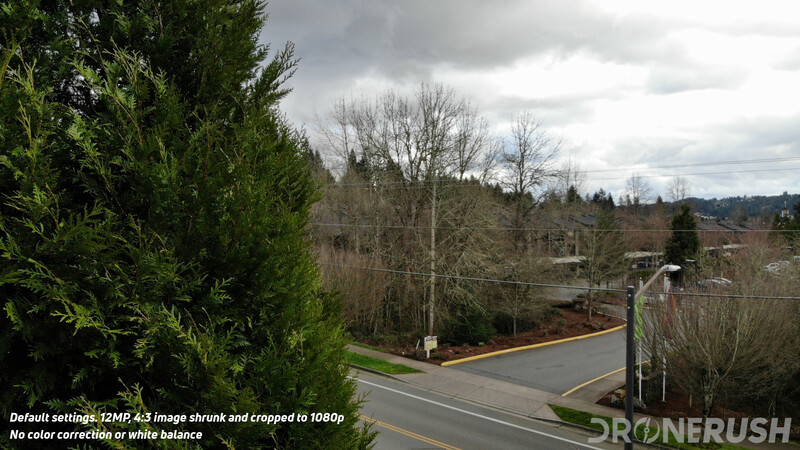 It moves along quite well in Sport mode, and still manages to impress while enjoying full camera stability. Controls were responsive and reliable. We had worried about range, due to the WiFi connectivity protocols, but in keeping the drone within line of sight, we had no disconnects to speak of. For a short stint, we put the remote control away. We had to fly the drone by hand gestures. 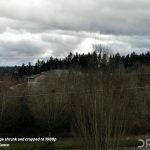 Admitting that it performs much better than the Spark at this task, we should have tried this before using the remote. 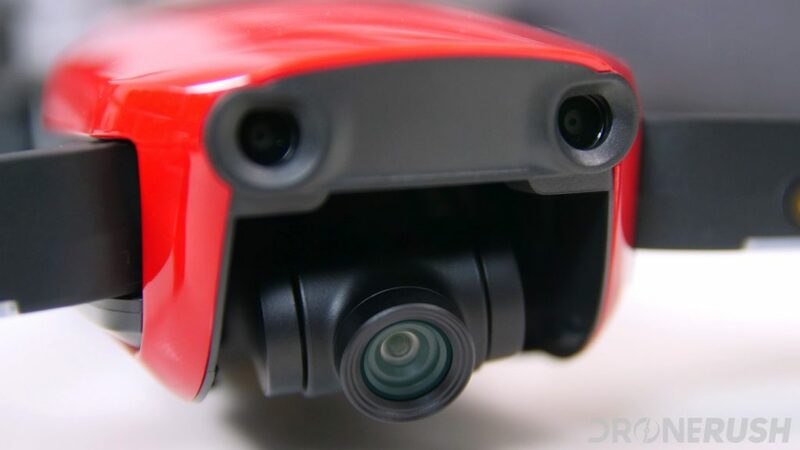 We had genuinely hoped that DJI would use the rear sensors to expand hand gesture controls, we don’t always want to take selfies, and we don’t always want to hike with the remote. Oh well, it performed as promised. Finally, we tried out the new Asteroid and Boomerang modes. Expanding on the list of already available Quickshot flight modes. The big question on everyone’s mind. 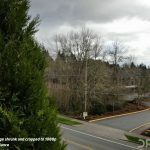 Rather, the big question on the mind of most all Mavic Pro owners, how is the camera? In short, it’s good. 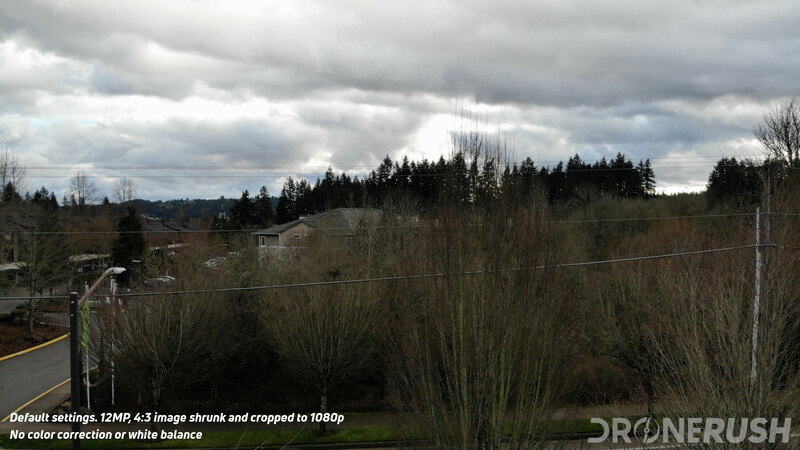 We’re looking at the same 1/2.3-inch size sensor as the Mavic Pro and Spark, set at 12MP. 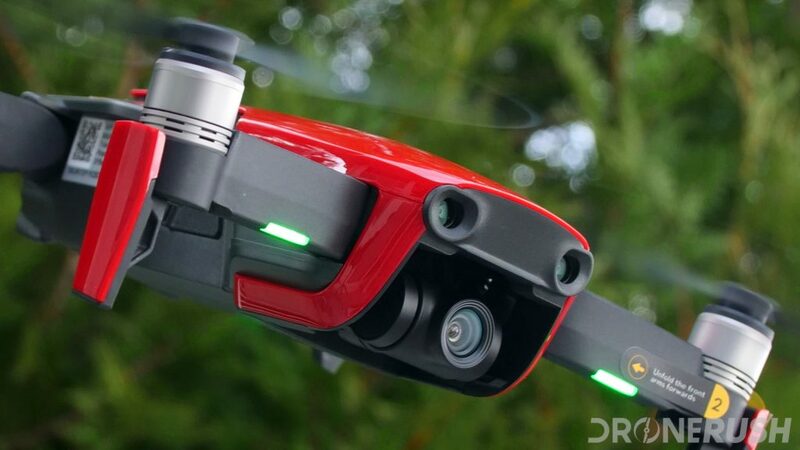 Spark only shoots video at 1080p, but the Mavic Pro and Mavic Air both enjoy 4K at 30 fps. The real difference, and this matter more than it sounds, the Mavic Air records at 100 Mbps, up from 60 Mbps in the Pro. 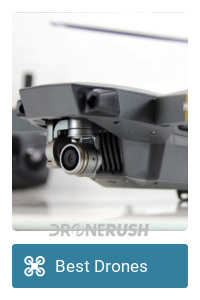 If those numbers mean nothing to you, trust me when I say that the Mavic Air takes the best photos and videos of the three machines. We’ll explore that in-depth another day. For now, no point talking about it, let’s see some shots. 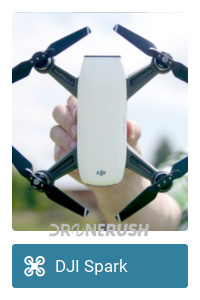 We are sharing just a few, saving our big collection for our full review and camera focus on this new drone. At the end of our flight, packing up the Mavic Air proved as easy in the field as it was at our desk on the way out the door. The travel bag makes it easy to drop in the accessories, then quickly fold down the drone and stow it on top. 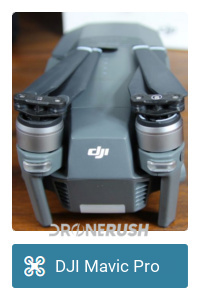 Honestly, I created this entire section just so I could say that the DJI Mavic Air is the most portable drone I’ve laid hands on. As I’m sure you’ve guessed, we will have plenty more coverage of the DJI Mavic Air coming soon. We need some time to work it through the paces, make sure everything does what it’s supposed to, make sure it is better than the drones it is supposed to replace and more. 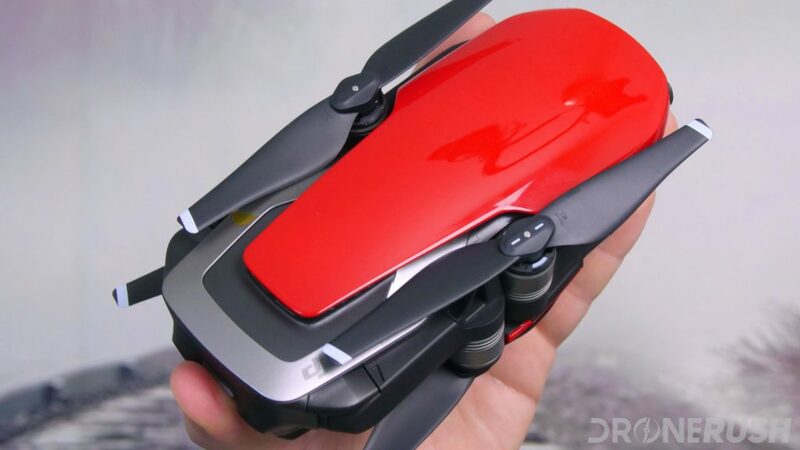 Please stay tuned for our full review of the DJI Mavic Air, as well as comparisons to other top drones on the market, how-to pieces and more. We’re enjoying this machine, and we think you will too. 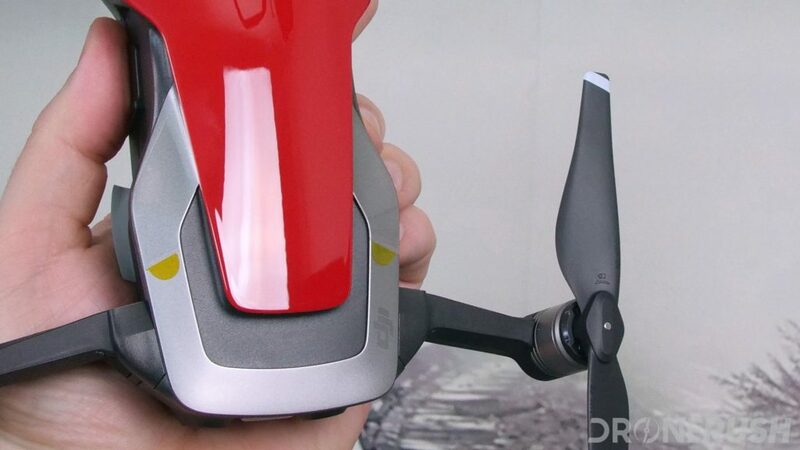 You can grab your own DJI Mavic Air for $799 as the base kit, but we do recommend updating to the DJI Mavic Air Fly More combo for $999 to get the most out of your flight. Thanks for joining us. Be sure to drop your questions in the comments below, we’ll try to answer them in our upcoming DJI Mavic Air coverage.